The townland of Rabbitpark is located to the south-east of Longford Town in Co. Longford. Rural in character, the surrounding landscape is barren and of low quality. Like the environment surrounding Drumlish National School and Gaigue National School in the same county, farming remains important to the local economy, though rural life has changed, and the hustle-and-bustle of the market town is no longer what it used to be. This school house was built in 1937. Looking at the First and Second Edition Ordnance Survey sheets, it can be seen that this is not the first National School built at this site, and that this building replaced an earlier school house built sometime before the First Edition Ordnance Survey in the late 1930s. 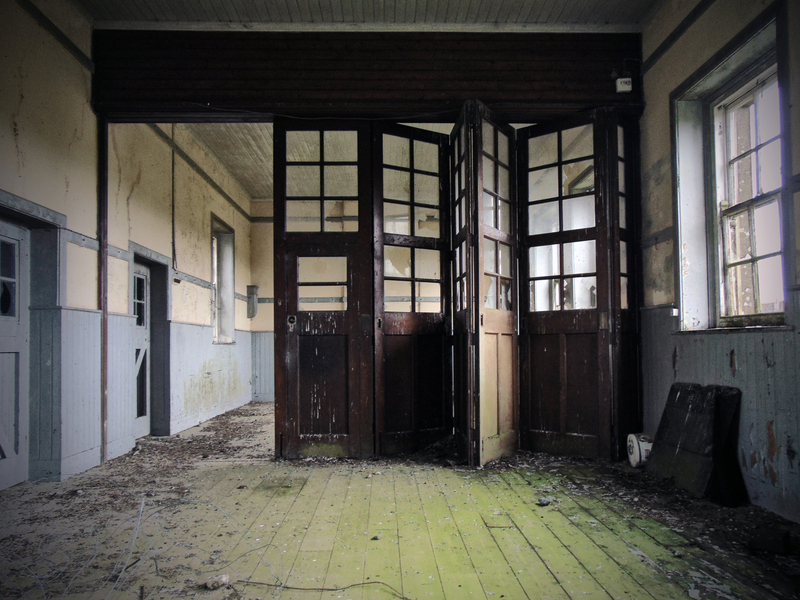 Although now derelict, this former school building retains much of its early character and form. Its simple symmetrical form is typical of the standard school buildings designed and built in great numbers by the Office of Public Works for the Board of Education during the first decades of independence, particularly from c. 1925 to c. 1939. This particular school was built in 1937. Its form suggests that it was originally built as a two classroom school, possibly with separate classrooms for boys and girls as was common practice at the time of construction. This impression is reinforced by the boundary wall to the rear, which divides the yard into two separate enclosed spaces. 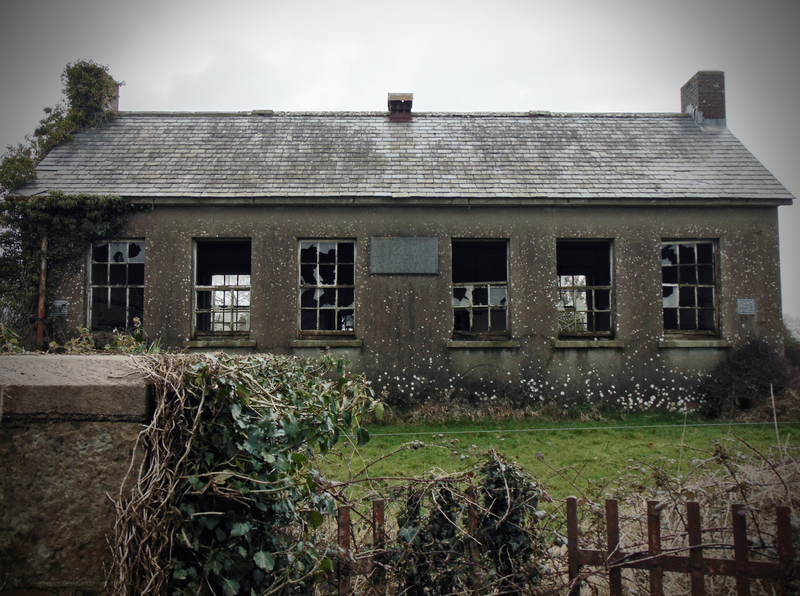 A wealth of local folklore recorded in the 1930s at this school survives in the records of the Irish Folklore Commission. In 1937 the Irish Folklore Commission, in collaboration with the Department of Education and the Irish National Teachers’ Organisation, initiated a revolutionary scheme in which schoolchildren were encouraged to collect and document folklore and local history. Over a period of eighteen months some 100,000 children in 5,000 primary schools in the twenty-six counties of the Irish Free State were encouraged to collect folklore material in their home districts. Below is selection of the stories recorded at Laughil in the late 1930s. The selection I have chosen here relates to the local district and offers five separate descriptions of the local area. The school retains many original features that enhance the façade such as the slate roof, timber sash windows and the carved limestone with incised Gaelic script. Inside, the building is in good condition with original electrical fittings in place. 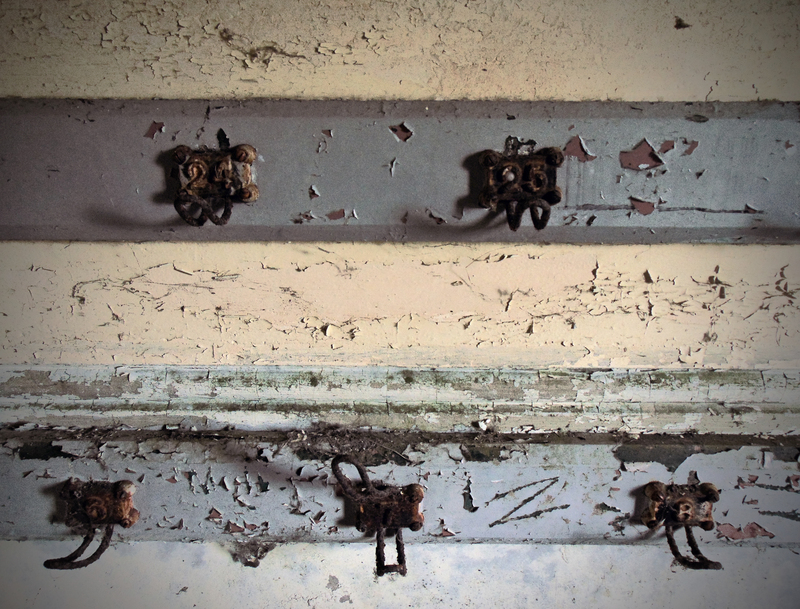 In the cloakroom, the numbered coat-hooks where several generations of local school children hung their jackets are particularly evocative. This simple school building is of social importance to the local community and represents a modest addition to the built heritage of the local area. The present school replaced and earlier school house at Laughil, which was located a short distance to the east at the far side of the road (Ordnance Survey six-inch maps 1838 and 1913).